We would like to invite you and your friends to our 2nd Year Anniversary at our Open House event that will be taking place on January 31st, 2018 from 3:00PM - 9:00PM. 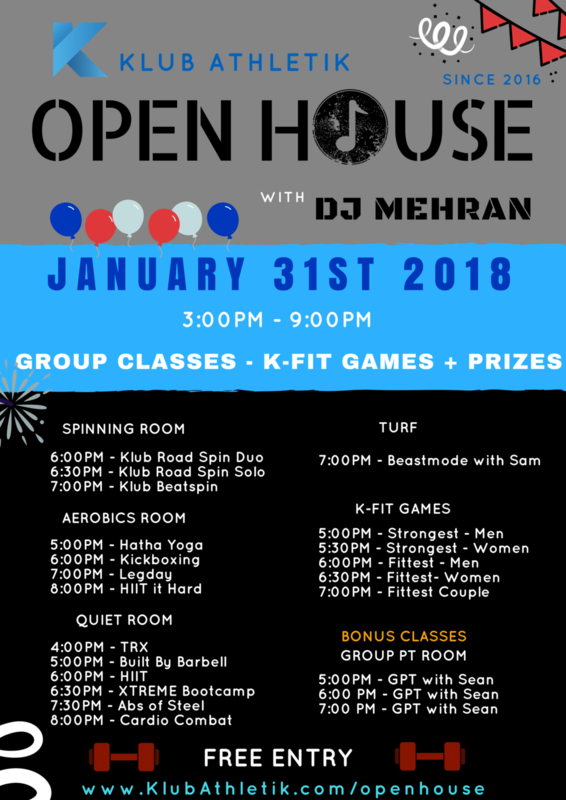 You will find our special schedule for the sample group classes that will be happening throughout the day as well as our 3rd Edition of the K-FIT Games open to all levels! Throughout this exciting event we will be having DJ Mehran there to keep you entertained! Every participant has a chance to win prizes! Even a Lifetime Free Membership!